Got game? Well, this is the router for you! Built with gaming, streaming and mobile devices in mind, this next generation gigabit WiFi router has a 1GHz dual core processor and delivers the fastest WiFi currently available so you enjoy less lag and less buffering. No matter where you WiFi, Nighthawk has you covered with Beamforming+ and built in high powered amplifiers and external antennas. 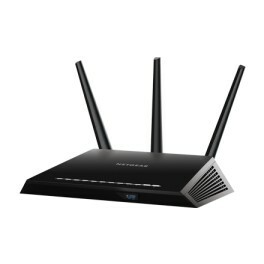 With NETGEAR Nighthawk, get ready for the extreme!